LINKS composite doors are perfectly manufactured to bring together the high standards of the DoorCo composite door with the increasing demand of aluminium windows. 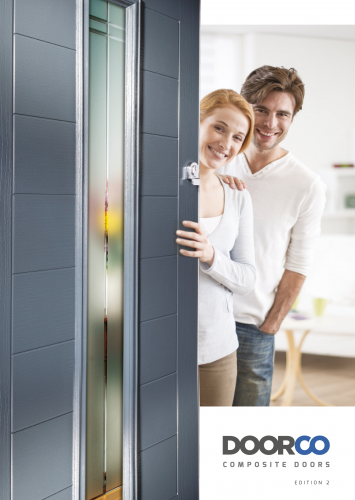 Designed to match the aluminium profile, LINKS doors look and feel like aluminium but have the same timber edge and foam filling as a standard DoorCo door, which gives all the same thermal efficiency, with a 4mm aluminium effect GRP skin. LINKS doors are available in a wide range of styles and colours to perfectly match your aluminium windows and compliment any style of home. 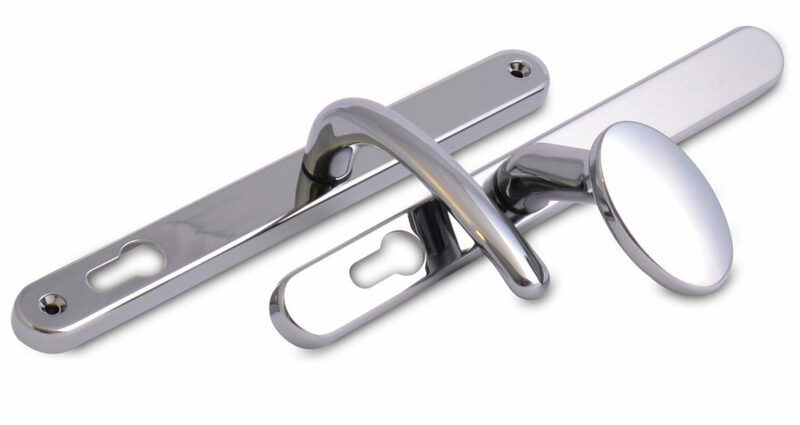 The Lever/Lever Inline Sprung Door Handle is designed to operate a Multi Point Lock with a Euro Cylinder. The Inline handle has been designed with a longer 32mm wide backplate for new doors or replacing handles on existing doors. 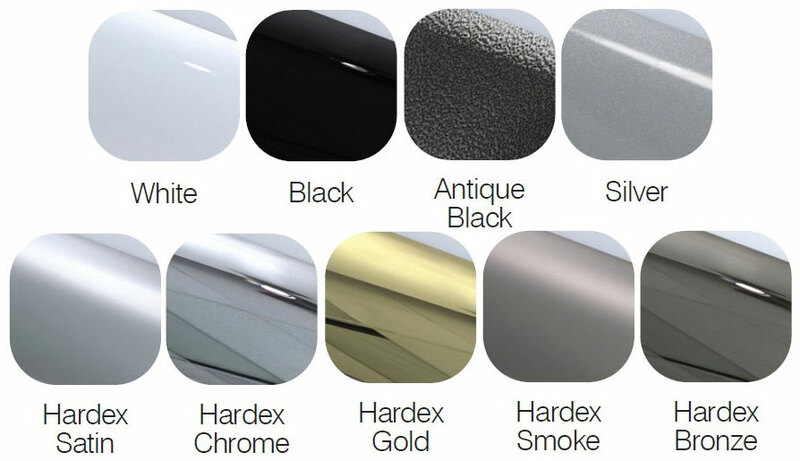 Suitable for PVCu, Aluminium and Composite doors; the Lever/Lever is available in a range of finishes as part of the Perfectly Matching Home range, that includes Hardex Chrome, Hardex Satin, Hardex Bronze, Hardex Gold, Antique Black and White. We focus on even the smallest details to ensure your home has a full suite of hardware. Alongside stunning looks, our door handles have been tested to the highest technical standards and meet the requirements of PAS 24:2012 and Secured by Design to confidently ensure the door security performance. All finishes meet the requirements of BS EN 1670:2007 Grade 5 (480 hours) for Corrosion Resistance to provide the most robust finish for your hardware; and to ensure smooth and consistent performance over time the handle is endurance tested in our test house to excess of 200,000 cycles. The Lever/Pad Offset Sprung Door Handle is designed to operate a Multi Point Lock with a Euro Cylinder. The handle is designed to work with a twin spindle door lock and has a longer 32mm wide backplate for new doors or replacing handles on existing doors. 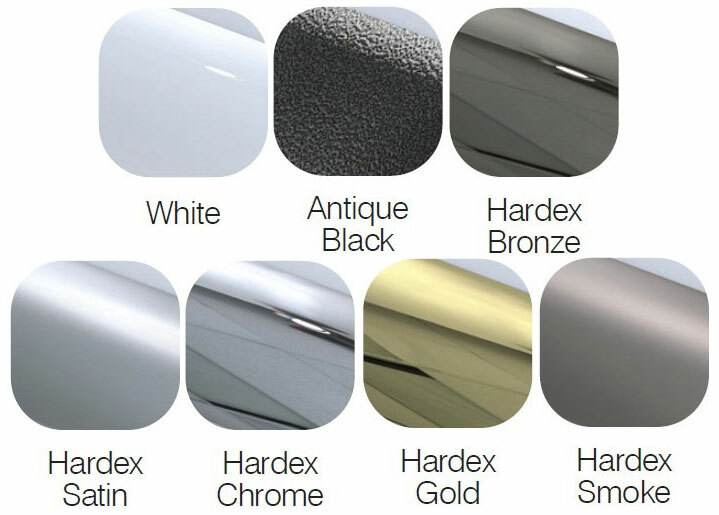 Suitable for Composite doors; the Lever/Pad handle is available in a range of finishes as part of the Perfectly Matching Home range, that includes Hardex Chrome, Hardex Satin, Hardex Bronze, Hardex Gold, Antique Black and White. We focus on even the smallest details to ensure your home has a full suite of hardware. Alongside stunning looks, our door handles have been tested to the highest technical standards and meet the requirements of PAS 24:2012 and Secured by Design on most door systems to confidently ensure the door security performance. All finishes meet the requirements of BS EN 1670:2007 Grade 5 (480 hours) for Corrosion Resistance to provide the most robust finish for your hardware; and to ensure smooth and consistent performance over time the handle is endurance tested in our test house to excess of 200,000 cycles. 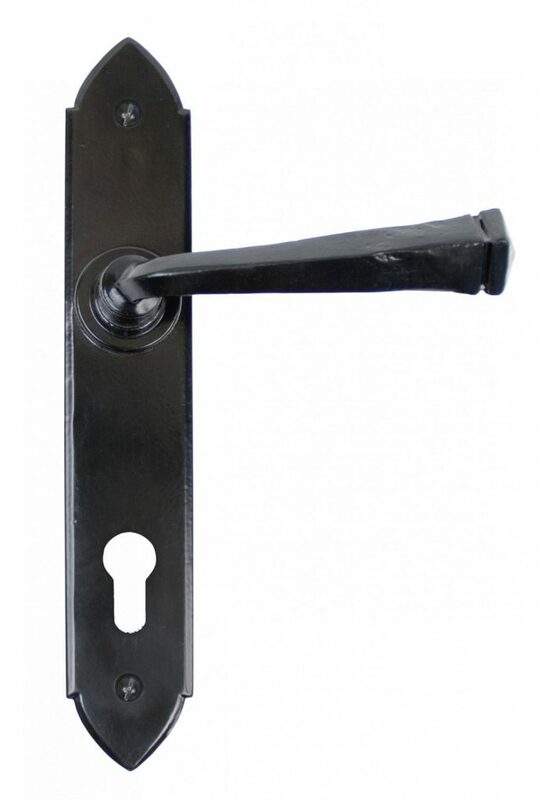 The Swan Inline Sprung Lever Lever Door Handle is designed to operate a Multi Point Lock with a Euro Cylinder. The handles screw fixings are located above the lever and at the bottom of the backplate to fit locks with a screw hole dimension of 211mm. The Balmoral has been designed with a longer 32mm wide backplate for new doors or replacing handles on existing doors. Suitable for PVCu and Composite doors; the Swan Lever Handle is available in a range of finishes as part of the Perfectly Matching Home range, that includes Hardex Chrome, Hardex Satin, Hardex Bronze, Hardex Gold, Antique Black and White, The Hardex Electro finish is amongst the more resilient and attractive in the world today and is perfectly matching not only in colour but in form as well – we focus on even the smallest details to ensure your home has a full suite of hardware. 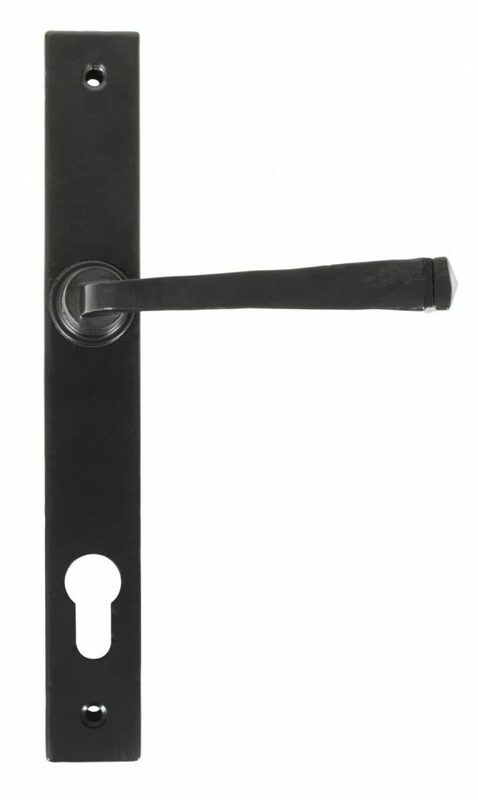 The Long Inline Sprung Lever Lever Door Handle is designed to operate a Multi Point Lock with a Euro Cylinder. The Extended Lever gives an increased leverage to ease lock operation. The handles screw fixings are located below the lever and at the bottom of the backplate to fit locks with a screw hole dimension of 211mm. The Long Lever handle has been designed with a wider 32mm wide backplate for new doors or replacing handles on existing doors. Suitable for PVCu and Composite doors; the handle set is sprung allowing perfect lever operation, lever return and alignment. 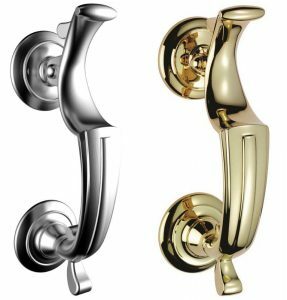 The Long Lever handle is available in a range of finishes as part of the Perfectly Matching Home range, that includes Hardex Chrome, Hardex Satin, Hardex Bronze, Hardex Gold, Antique Black and White. The Hardex Electro finish is amongst the more resilient and attractive in the world today and is perfectly matching not only in colour but in form as well – we focus on even the smallest details to ensure your home has a full suite of hardware. 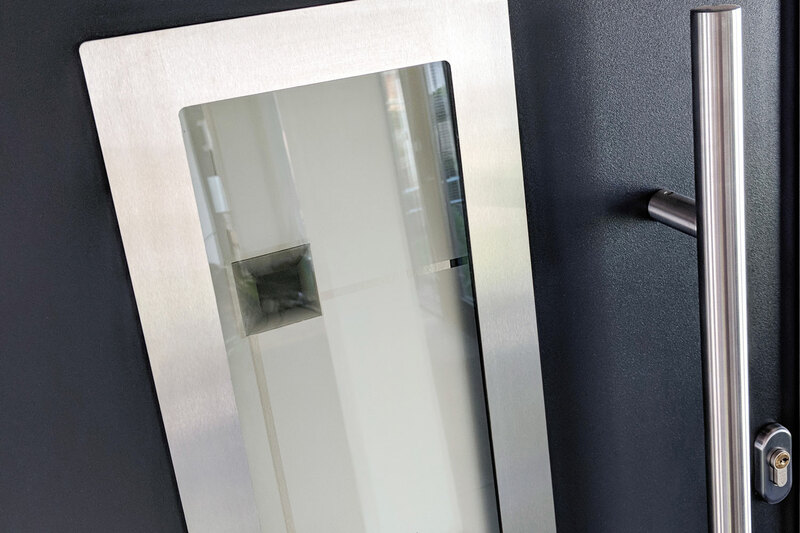 Alongside stunning looks, our door handles have been tested to the highest technical standards and meet the requirements of PAS 24:2012 and on most door systems to confidently ensure the door security performance. All finishes meet the requirements of BS EN 1670:2007 Grade 5 (480 hours) for Corrosion Resistance to provide the most robust finish for your hardware; and to ensure smooth and consistent performance over time the handle is endurance tested in our test house to excess of 200,000 cycles. 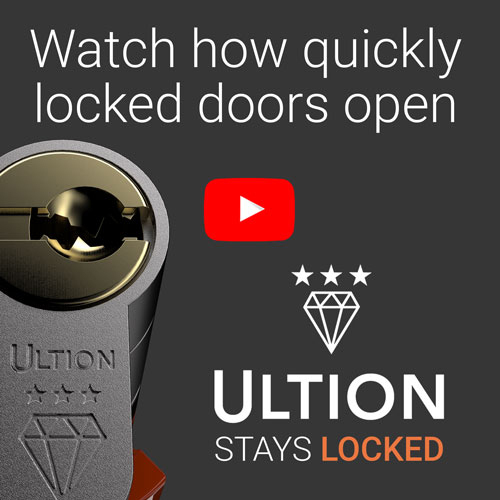 The Gothic handle is designed to be used in conjunction with Multi-point Locking Systems and Euro Cylinder which allows your door to be locked from the inside or out. Ideal for modern composite front doors or as a replacement of existing handles. 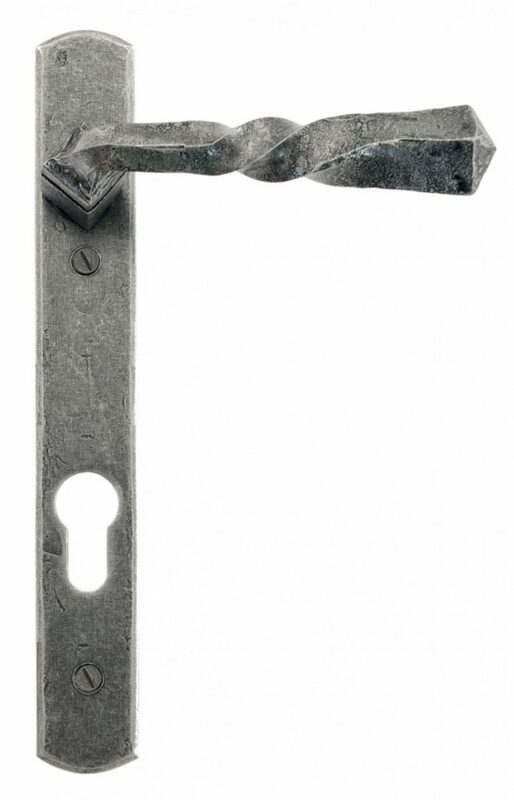 The handle is ‘unsprung’ to allow the upward locking movement needed with multi-point locks. It has standard centres of 92mm to work with all locking systems. Made entirely from steel these beautifully hand crafted levers are not only pleasing to the eye but also comfortable to use. 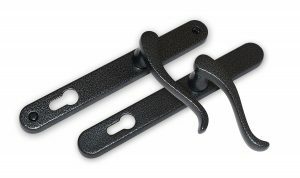 Sold as a set and supplied with necessary fixings the Gothic Handle is suitable for internal or external use. Available in black or pewter finishes, our black finish is baked in a high-temperature oven giving it a durable corrosion resistant finish. It is resistant to moisture and can be used in bathrooms and damp conditions. The pewter finish is elegant and beautifully highlights the texture of the steel. The unique and complex process runs deep into the metal resulting in an unmatched contrast of texture and colour. Both finishes have been salt tested to 480hours, which meets grade 5 British Standard. Wiping with a lightly oiled cloth from time to time will remove harmful deposits and maintain the original condition. 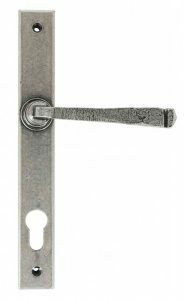 This Narrow Twist Handle has a very nice ‘twist’ detail and is designed to be used with Multi-point Locking Systems and Euro Cylinder Lock. The handle is not sprung which allows for the upward (locking) movement commonly associated with espagnolette systems and ideal for PVCu and Composite doors. Made entirely from steel these beautifully hand crafted levers are not only pleasing to the eye but also comfortable to use. Sold as a set and supplied with necessary fixings the Narrow Twist Handle is suitable for internal or external use. The slim espagnolette Avon handle is designed with an extra long backplate to be used with all Multi-point Locking Systems and Euro Cylinder lock. The slimline handle is not ‘handed’ so can be used either side of your door and is bolt fixed from one side only for added security. It also has a spring incorporated into the handle which will always return it back to 90 degrees. Made entirely from steel these beautifully hand crafted levers are not only pleasing to the eye but also comfortable to use. 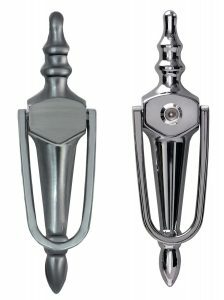 Sold as a set and supplied with necessary fixings the Avon Handle is suitable for internal or external use. 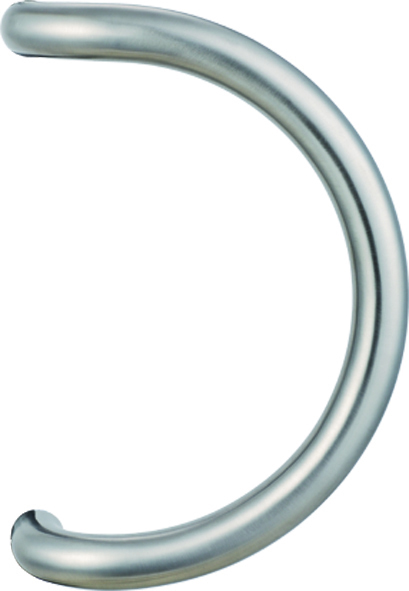 The Curve Top Bar Handle is made from solid stainless steel with a satin finish and has an overall length of 550mm. Available in both left and right handed options this handle will give your composite door a modern, contemporary finish. Designed to work with key only operated slam shut locks. The Curve Top Bar can be used as a single external fixing or back to back internal/external fixings. 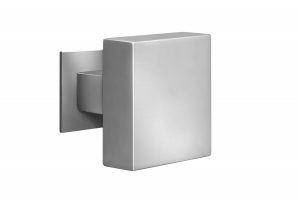 The D Handle is made from solid stainless steel with a satin finish and has an overall length of 390mm. The D Handle can be fitted to both right and left handed opening doors and can also be fitted vertically or horizontally, giving your composite door a modern, contemporary look. Designed to work with key only operated slam shut locks. The D Handle can be used as a single external fixing or a back to back internal/external fixings. The V Handle is made from solid stainless steel with a satin finish and has an overall length of 400mm. The V Handle can be fitted to both right and left handed opening doors and can also be fitted vertically or horizontally, giving your composite door a modern, contemporary look. Designed to work with key only operated slam shut locks. 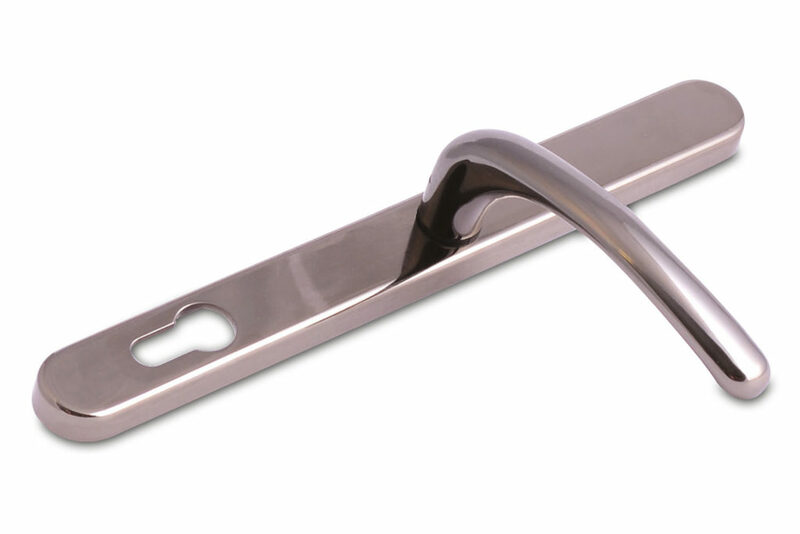 The V Handle can be used as a single external fixing or a back to back internal/external fixings. 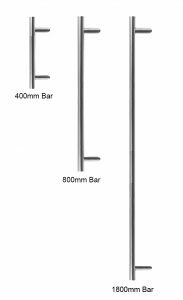 The Straight Bar Pull Handle is made from solid stainless steel with a satin finish and is available in 400mm, 800mm & 1800mm lengths. 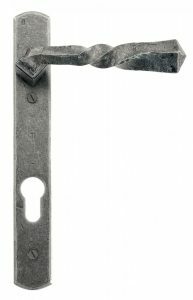 The Bar Pull Handle has a diameter if 32mm and is suitable for standard composite doors with a thickness of up to 45mm. 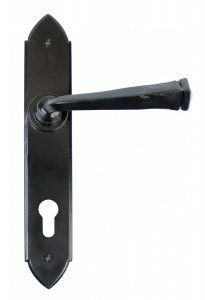 Designed to work with a key only operated slam shut lock, the Pull Bar Handle can be used as a single external fixing or a back to back internal/external fixing. 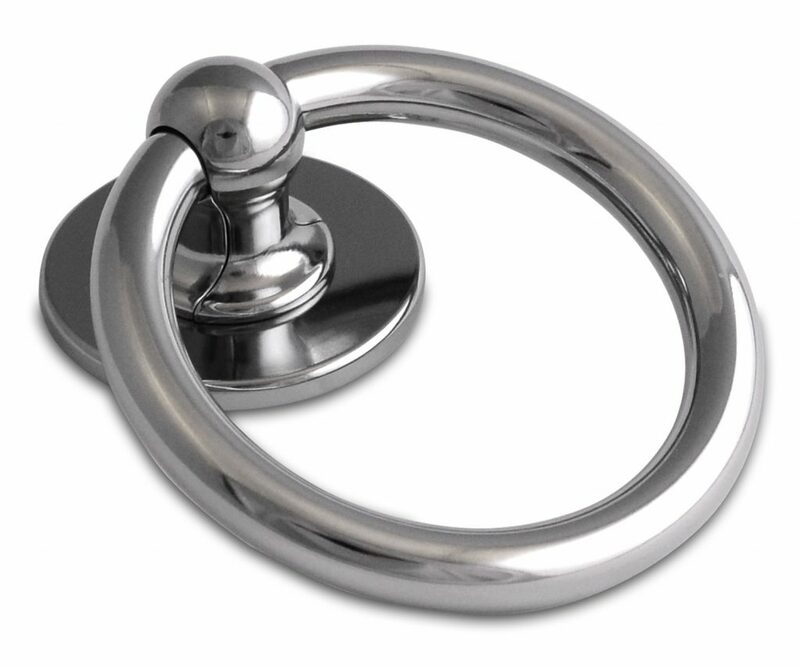 The Centered Knob is made from solid stainless steel with a satin finish. 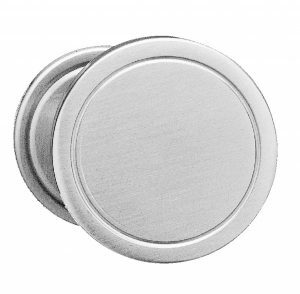 The Centered Knob has a diameter of 54mm and can fit a standard composite door with a thickness up to 45mm. 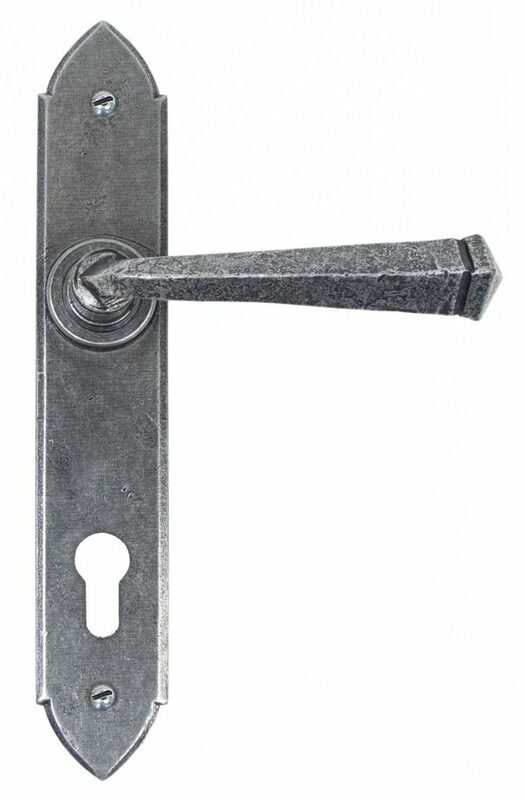 Designed to work with a key only operated slam shut lock, the Centered Knob is a non operational handle fitted to the external side of the door. 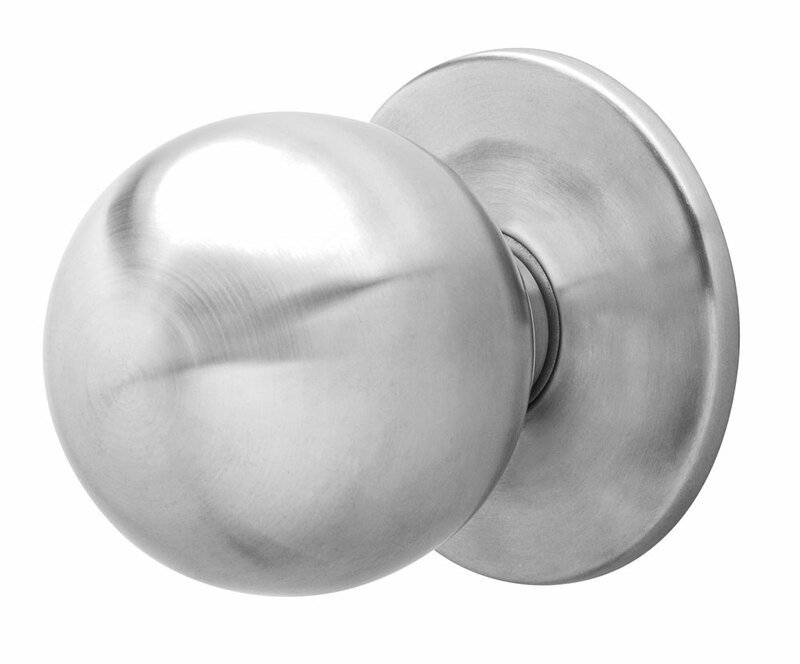 The House Door Knob is made from solid stainless steel with a satin finish. 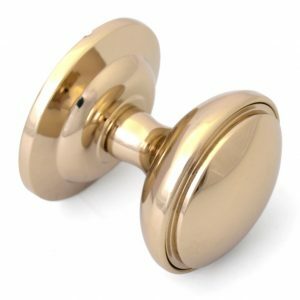 The House Door Knob is available with a square or circular handle. The square finish handle has a diameter of 80mm while the circular finish has a diameter of 74mm. Both finishes are suitable for standard composite doors with a thickness up to 45mm. Designed to work with a key only operated slam shut lock, the House Door Knob is a non operational handle fitted to the external side of the door. The Decorative Round Door Knob is designed to be fitted either with a secret bracket or bolt through fixing. 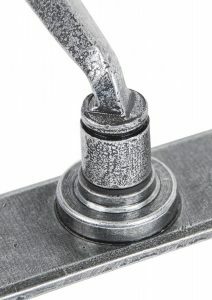 The Knob is 70mm in diameter, with 54mm centres for the anti-rotation or bracket fixing pins. 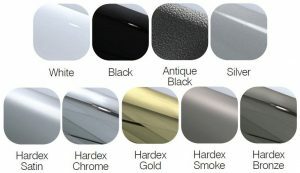 Suitable for all our Composite doors; the Knob is available in a range of finishes as part of the Perfectly Matching Home range, that includes Hardex Chrome, Hardex Satin, Hardex Bronze, Hardex Gold, Antique Black and White, The Hardex Electro finish is amongst the more resilient and attractive in the world today and is perfectly matching not only in colour but in form as well. We focus on even the smallest details to ensure your home has a full suite of hardware. Alongside stunning looks, our decorative hardware has been tested to the highest technical standards and meet the requirements BS EN 1670:2007 Grade 5 (480 hours) for Corrosion Resistance to provide the most robust finish for your hardware. Hardware may be the last thing fitted, but it’s where the eye falls, the part we most frequently touch and operate, and the aspect by which we judge overall quality. The Slim Urn Face Fix Door Knocker is available with or without a spyhole and has a classic slim design to create an elegant and stylish door. Designed with a patented face fixing plate and works with PVCu and Composite doors. The face fixing ensures easy installation without using fixing bolts. Catering for all major door depths, the Slim Urn Face Fix Knocker is available in a range of finishes as part of the Perfectly Matching Home range that includes Hardex Chrome, Hardex Satin, Hardex Bronze, Hardex Gold, Hardex Graphite, Antique Black, White, Black, Silver and Gold. The Hardex Electro finish is amongst the more resilient and attractive in the world today and is perfectly matching not only in colour but in form as well. We focus on even the smallest details to ensure your home has a full suite of hardware. Alongside stunning looks our finishes meet the requirements of BS EN 1670:2007 Grade 5 (480 hours) for Corrosion Resistance to provide the most robust finish for your hardware. Hardware may be the last thing fitted, but it’s where the eye falls, the part we most frequently touch and operate, and the aspect by which we judge overall quality. The Wide Urn Face Fix Door Knocker is available with or without a spyhole and is a medium sized knocker in a classic design to create an elegant and stylish door. Designed with a patented face fixing plate and works with PVCu and Composite doors. The face fixing ensures easy installation without using fixing bolts. Catering for all major door depths, the Wide Urn Face Fix Door Knocker is available in a range of finishes as part of the Perfectly Matching Home range that includes Hardex Chrome, Hardex Satin, Hardex Bronze, Hardex Gold, Hardex Graphite, Antique Black, White, Black, Silver and Gold. The Hardex Electro finish is amongst the more resilient and attractive in the world today and is perfectly matching not only in colour but in form as well. Hardware may be the last thing fitted, but it’s where the eye falls, the part we most frequently touch and operate, and the aspect by which we judge overall quality. The Standard Doctor Door Knocker has a stylish and classic design to create an aesthetic and elegant front door. Designed for PVCu and Composite doors, with a fix bolt system which is croppable to suit a wide variety of door thicknesses. Available fitting jig ensures smooth and easy installation. 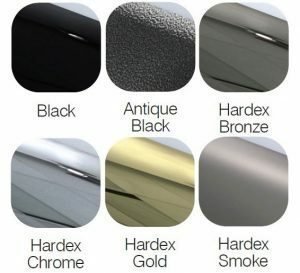 The Standard Doctor Door Knocker is available in a range of finishes as part of the Perfectly Matching Home range that includes Hardex Chrome, Hardex Satin, Hardex Bronze, Hardex Gold, Hardex Graphite, Antique Black and White. The Hardex Electro finish is amongst the more resilient and attractive in the world today and is perfectly matching not only in colour but in form as well. Hardware may be the last thing fitted, but it’s where the eye falls, the part we most frequently touch and operate, and the aspect by which we judge overall quality. 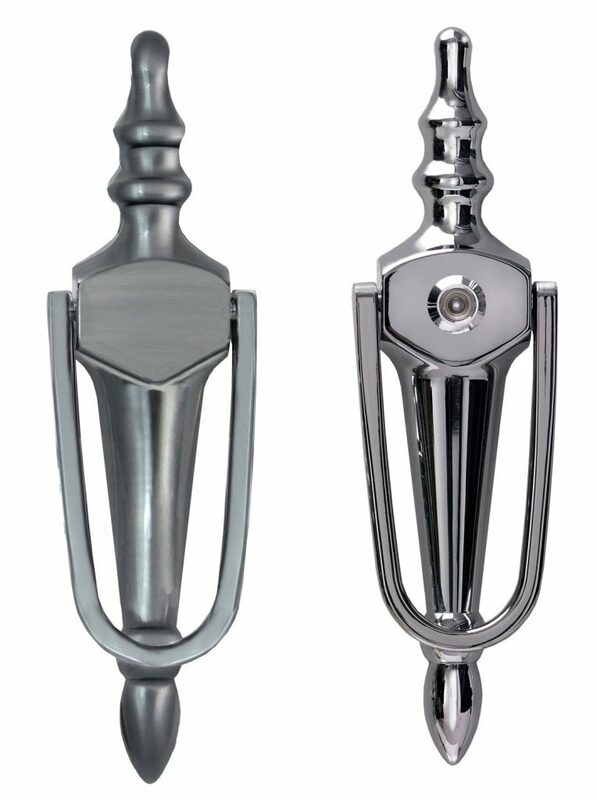 The Premium Doctor Door Knocker has a stylish and classic design to create an aesthetic and elegant front door. 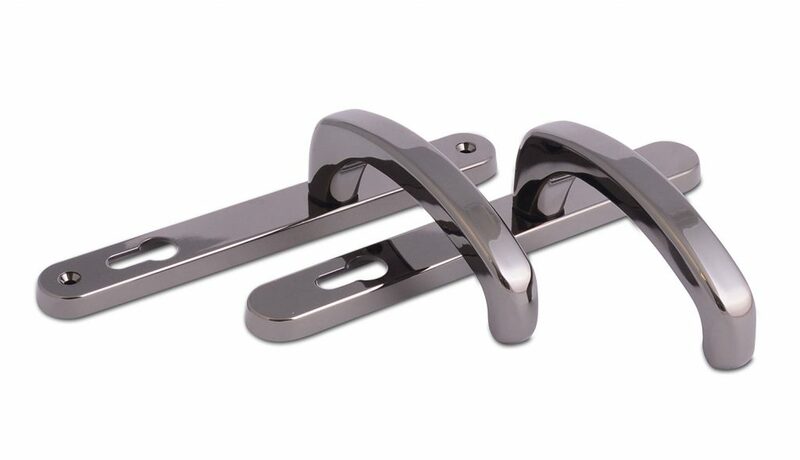 Designed for PVCu and Composite doors, this handle was traditionally known as such to identify a doctors door. A luxurious heavyweight, hot forged solid brass door knocker in the Harley Street style. This unique shape will enhance and add a distinguished feature to any door. Easily fitted and comes complete with fixing covers. The Premium Doctor Knocker is available in Gold and Polished Chrome finishes. Hardware may be the last thing fitted, but it’s where the eye falls, the part we most frequently touch and operate, and the aspect by which we judge overall quality. 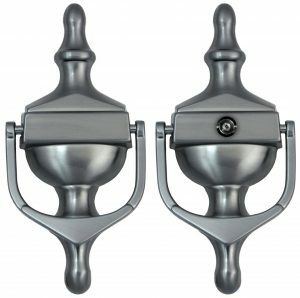 The Pony Tail Door Knocker has a modern and contemporary design to create an stylish front door. Designed with patented face fixing plate and works with PVCu and Composite doors. The face fixing ensures easy installation without using fixing bolts or having to drill through the door. 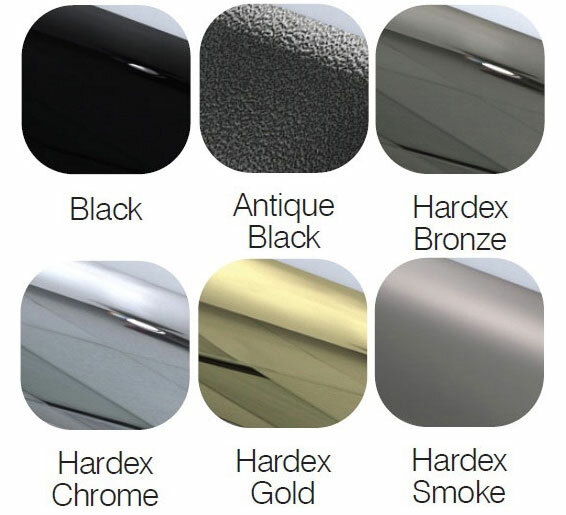 The Pony Tail Door Knocker is available in a range of finishes as part of the Perfectly Matching Home range that includes Hardex Chrome, Hardex Satin, Hardex Bronze, Hardex Gold, Hardex Graphite, Antique Black and White. The Hardex Electro finish is amongst the more resilient and attractive in the world today and is perfectly matching not only in colour but in form as well. We focus on even the smallest details to ensure your home has a full suite of hardware. Alongside stunning looks our finishes meet the requirements of BS EN 1670:2007 Grade 5 (480 hours) for Corrosion Resistance to provide the most robust finish for your hardware. Includes fixing bracket. Hardware may be the last thing fitted, but it’s where the eye falls, the part we most frequently touch and operate, and the aspect by which we judge overall quality. 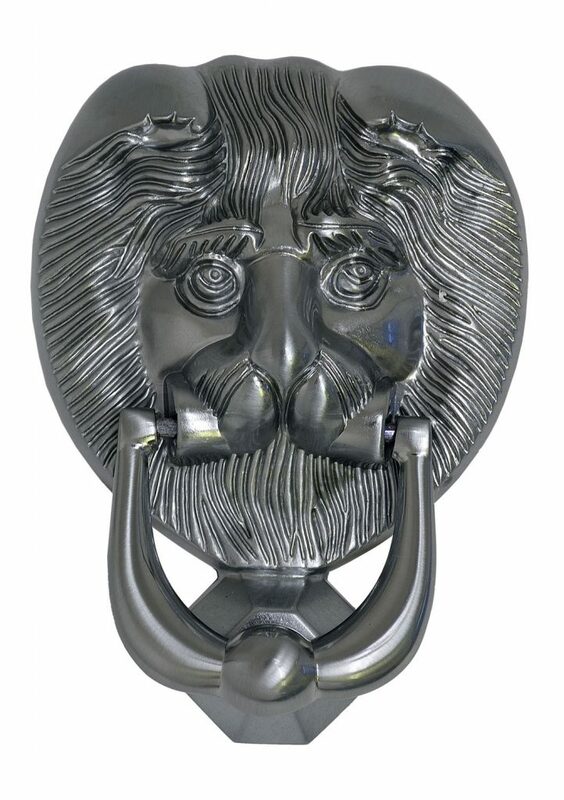 The Lion’s Head Door Knocker has a classic design to create an elegant front door. Designed with patented face fixing plate and works with PVCu and Composite doors. The face fixing ensures easy installation without using fixing bolts or having to drill through the door. The Lion’s Head Door Knocker is available in a range of finishes as part of the Perfectly Matching Home range that includes Hardex Chrome, Hardex Satin, Hardex Bronze, Hardex Gold, Hardex Graphite, Antique Black and White. The Hardex Electro finish is amongst the more resilient and attractive in the world today and is perfectly matching not only in colour but in form as well. Hardware may be the last thing fitted, but it’s where the eye falls, the part we most frequently touch and operate, and the aspect by which we judge overall quality. The Bull Ring Door Knocker has a heritage design to create an elegant finish to a heritage style front door. 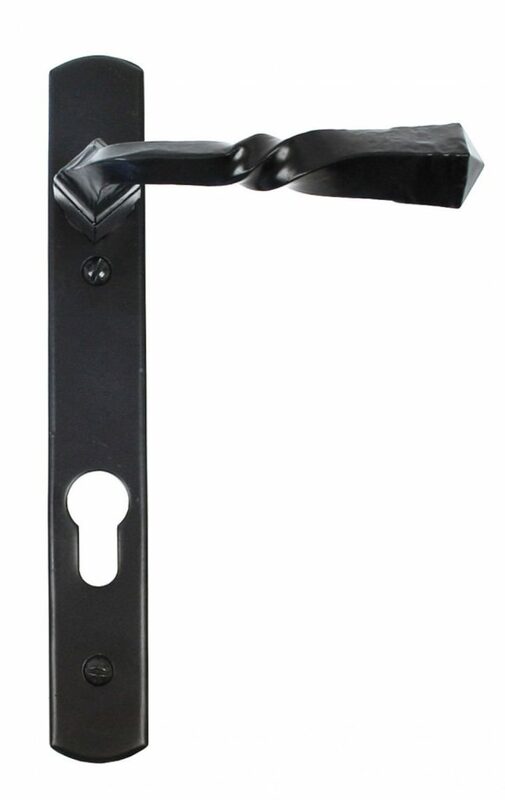 Designed with patented face fixing plate and works with PVCu and Composite doors. The face fixing ensures easy installation without using fixing bolts or having to drill through the door. The Bull Ring Door Knocker is available in a range of finishes as part of the Perfectly Matching Home range that includes Hardex Chrome, Hardex Bronze, Hardex Gold, Hardex Graphite, Antique Black and Black. The Hardex Electro finish is amongst the more resilient and attractive in the world today and is perfectly matching not only in colour but in form as well.